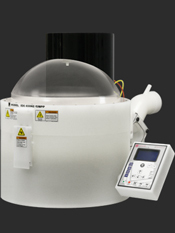 The Laurell EDC-650-15B Spin Processor is compact and packed with advanced features. 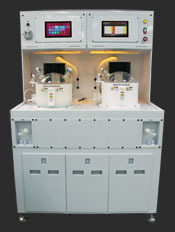 This 650-series EDC system will accommodate up to ø300mm wafers and 9" × 9" (229mm × 229mm) substrates. Though this system has a 12,000 RPM capability with vacuum hold-down, it is recommended for only 3,000 RPM and non-vacuum chucks. "The spin coater has been great. Thanks so much for your help." "Some years ago we purchased a Spin Coater WS-650Mz-23NPP. I am very satisfied with the product and its functionality." "Your support engineers have been incredibly helpful with their information, they are both an asset to your company." "I appreciate your great support." "We are very happy with the spin coater."